General donations and sponsorships – gifts for Waco Symphony Association operating expenses, concert sponsorships and the Waco Symphony Youth Orchestra. The mission of the Waco Symphony Association, Inc. is to present live classical music that will enrich the cultural life of our community. 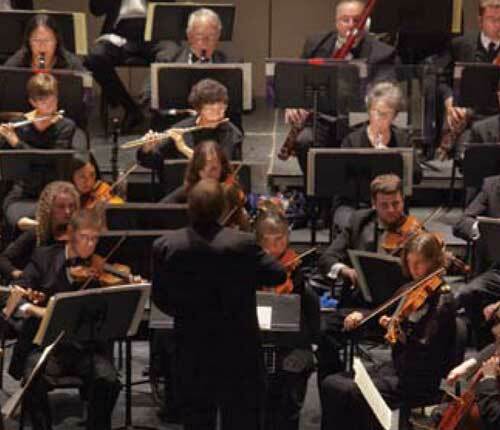 The WACO SYMPHONY FOUNDATION receives and provides funds for support of the Waco Symphony. Your generous support will help ensure artistic musical excellence and financial stability of the Waco Symphony for generations to come. SPECIAL NOTE: At this time the Waco Symphony Foundation is unable to accept donations from Donor Advised Funds or through a qualified charitable distribution from an IRA (Individual Retirement Account of any individual aged 70 1/2 or more). If this type of donation is contemplated, the Waco Symphony Association is able to accept these donations. Please consult your tax advisor for details. Donations to the Waco Symphony Foundation are acknowledged each season in the Waco Symphony Orchestra concert program. Memorials and Honorariums – gifts in honor of or in memory of someone special. Endowment Fund – gifts to help ensure artistic musical excellence and financial stability of the Waco Symphony. These include endowed chairs and special funds (such as the Guest Artist and Student Intern funds). Planned Giving (Encore Society) – gifts from individuals or families who have named the Waco Symphony Foundation as beneficiary in their wills or other planned gifts (such as life insurance policies, IRAs or trusts). The Waco Symphony Foundation is available to assist you in meeting your charitable goals. However, we cannot provide you with tax, legal or financial advice. We encourage you to involve your personal advisers when considering charitable gifts.